You’re sitting on your porch having your morning coffee and planning your coming weekend when you notice your car in the driveway and, consequently, the sorry state of your car’s windows. Didn’t you take it to the car wash just last Thursday? Or was it the week before that? The rest of the car looks good enough. But the windows, especially the windshield, look overrun with remnants of dead bugs, bird poop and what not.“There goes the better part of my Saturday,” you think to yourself. It’s a very common predicament, indeed. Dirty windows can sneak up on you. It’s neither appealing to the eyes nor safe. A grimy windshield can hinder your vision and make it unsafe for driving. 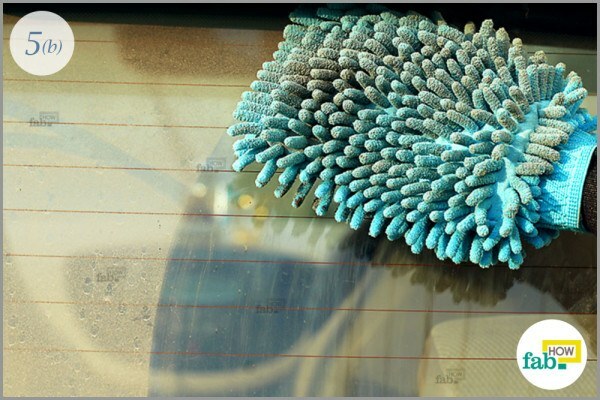 Taking your car to a car wash may not always be the solution, as the windows need more frequent cleaning than the rest of your car. The task is not as daunting as it seems. If done regularly, you can easily maintain the clarity and shine of your car’s windows. 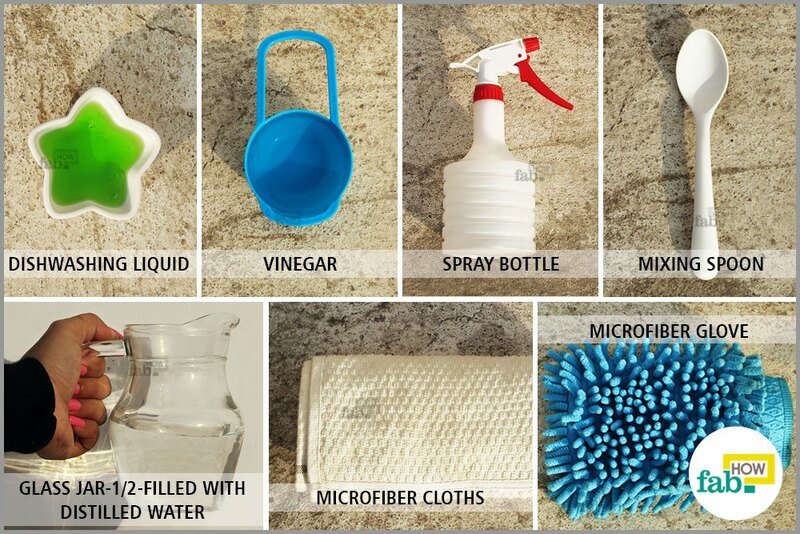 Start by making the cleaning solution. 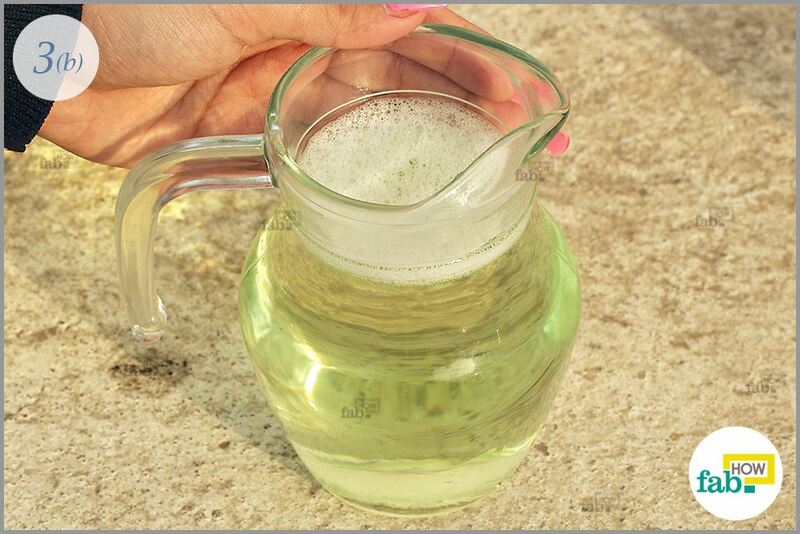 Mix 1 tablespoon of dishwashing liquid in a glass jar filled halfway with distilled water. 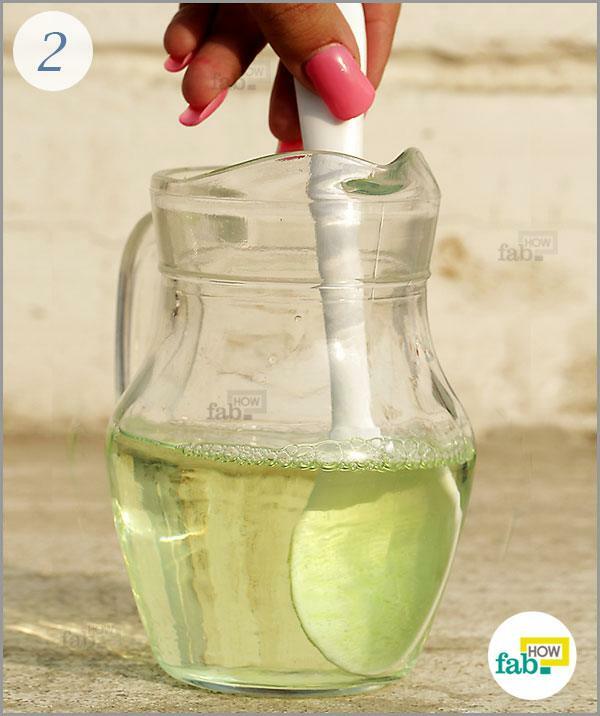 Preferably, use ammonia-free dishwashing liquid for this solution. 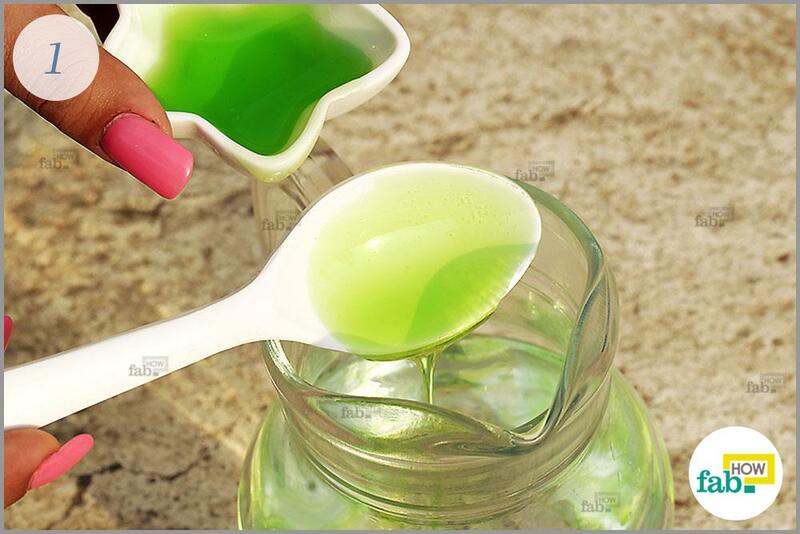 Stir it with a spoon to dissolve the dishwashing liquid completely in the distilled water. Next, pour 1 cup of vinegar into the jar. 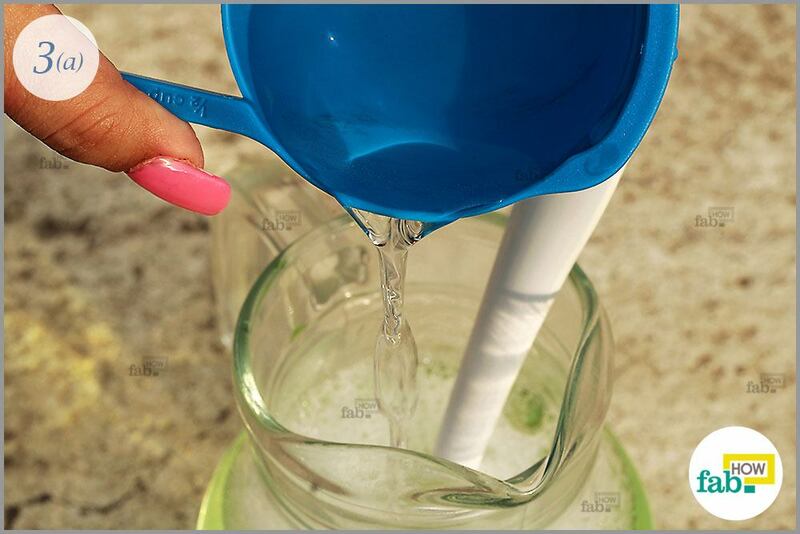 Again, stir the contents of the jar to mix them thoroughly. Your cleaning solution is now ready. 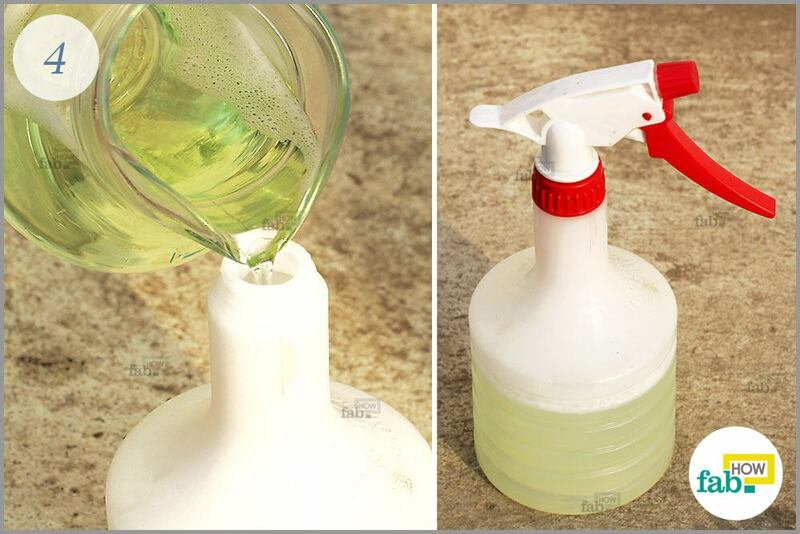 Transfer the cleaning solution from the glass jar to a spray bottle. 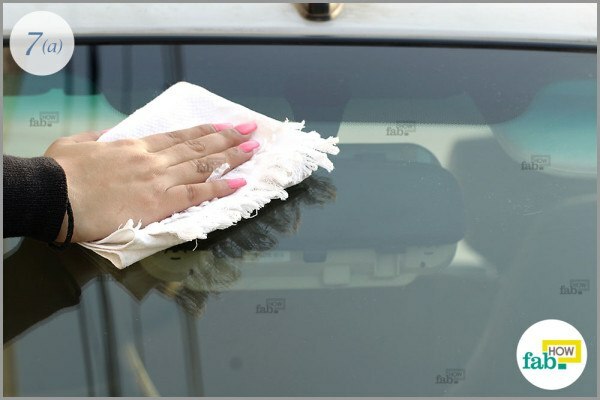 Before you start cleaning the windshield and windows, dry dust them first to remove all the loose dirt and grime from the surface of the glass. Always use a microfiber glove for this job. It will pick up the dirt instead of streaking it across the surface. 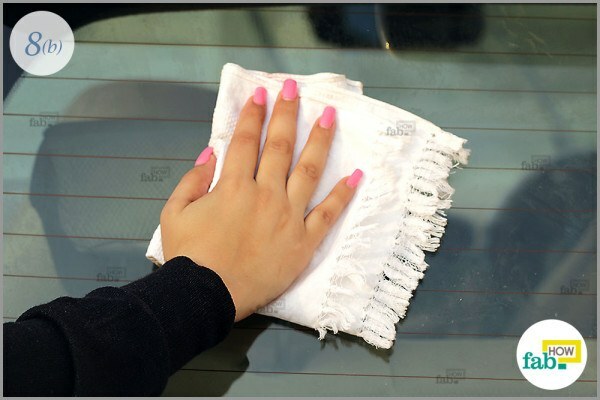 Now, spray the cleaning solution onto a microfiber cloth, instead of spraying it directly on the windows. You can spray it directly on the glass, if needed, to treat a particularly stubborn grime spot. Dampen one side of the cloth to clean with and reserve the other side for polishing and buffing. You can also use two different microfiber clothes for this purpose. This will ensure a smudge-free and clear finish. 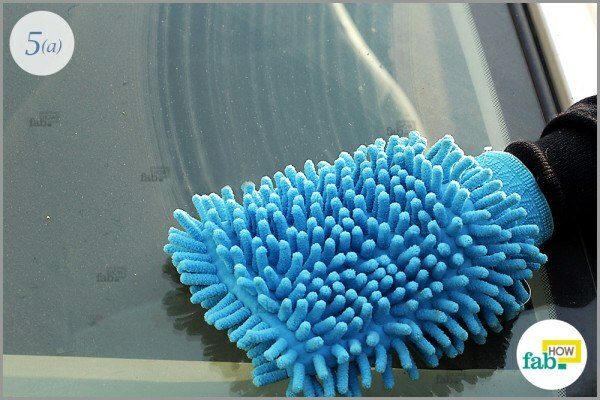 Use the dampened side of your microfiber cloth to gently wipe the windshield clean, using horizontal sweeping motions. Circular motions are not as efficient in cleaning the corners of your windshield. 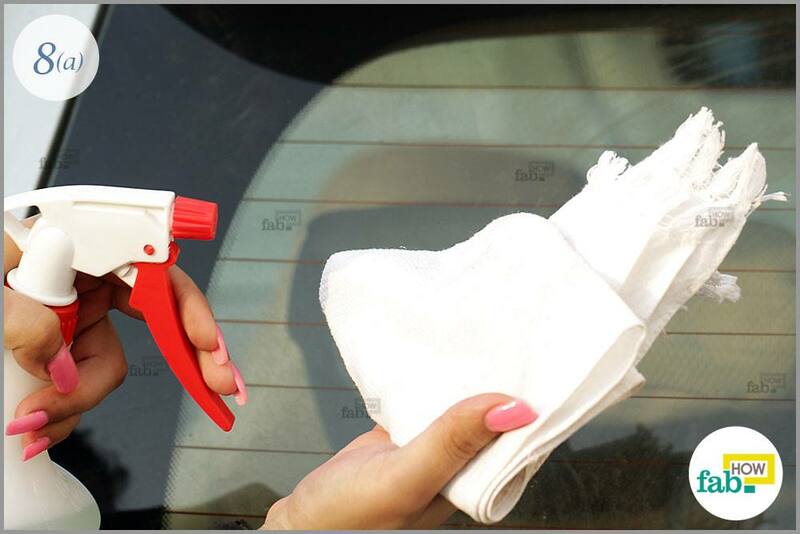 Feel free to wet the microfiber cloth with cleaning solution every now and then. 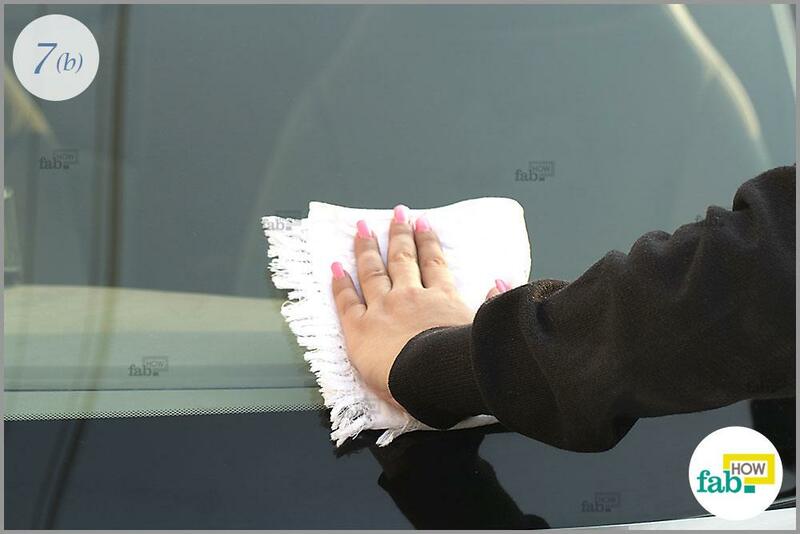 Once you’ve cleaned the exterior of the windshield, wipe the interior clean. However, for the interior, use vertical sweeping motions. You can also do it vice versa – using the vertical motions on the exterior and horizontal sweeps on the interior. 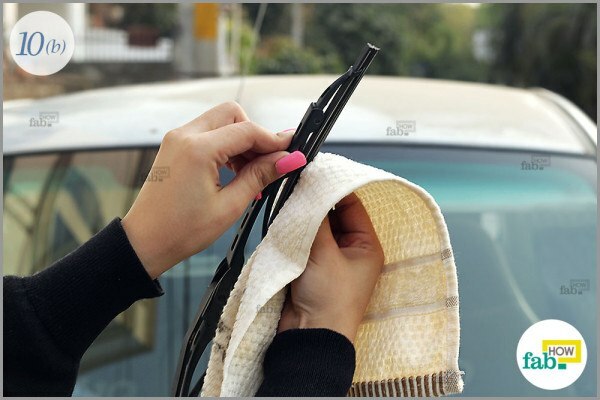 Wiping your windows and windshield using this grid motion will ensure that you can easily spot any streaks or smudge marks. 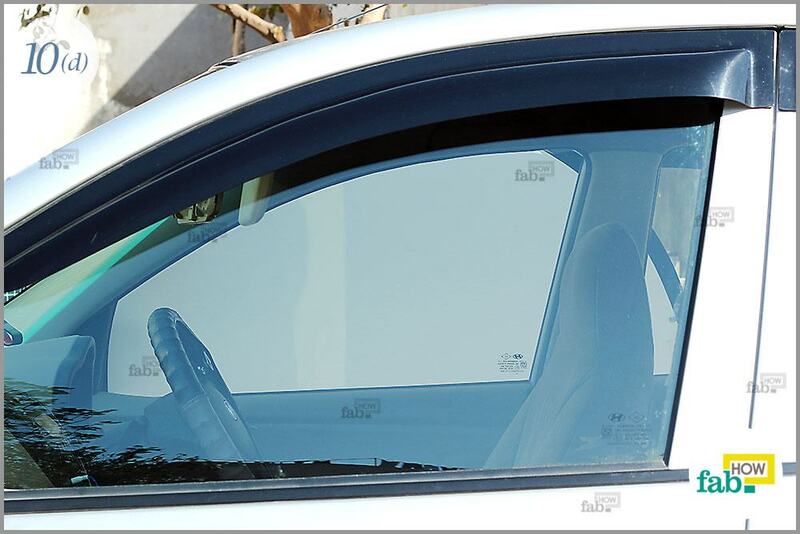 Wiping your windows and windshield using this grid motion will ensure that you can easily spot any streaks or smudge marks. Once you’ve dealt with the windshield, you can start attending to all the windows. Clean the exteriors first, then the interiors; or do it window by window. It’s your choice entirely. Before you start cleaning the surface of the windows, roll them down halfway so you can clean the top edges. Usually, the top edge of the window is the spot where dust and grime accumulates. If you clean the top edge last, it will surely leave streak marks on the rest of your clean surface. Do it first for a nice finish. Roll the windows down halfway and wipe the edges with a dampened microfiber cloth. 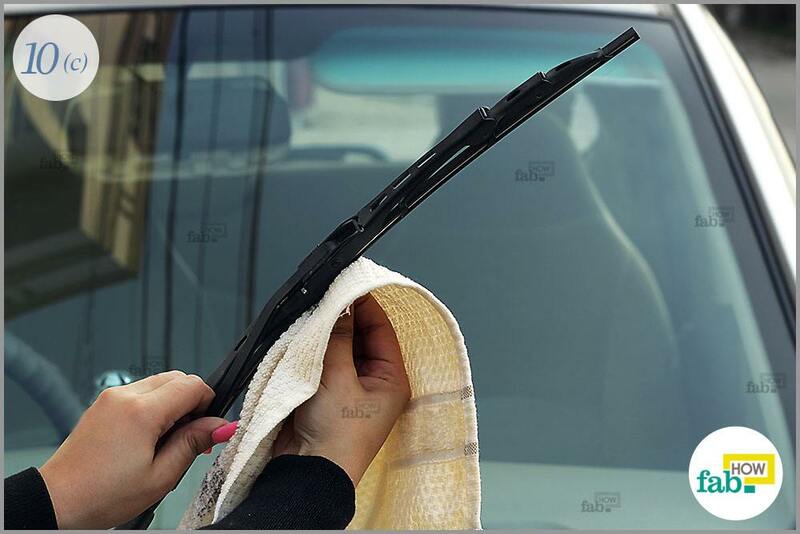 Then, roll them backup and proceed to clean the exterior and interior of the windows. If you’ve spent a substantial amount of time cleaning your windshield, you had better clean those wipers. 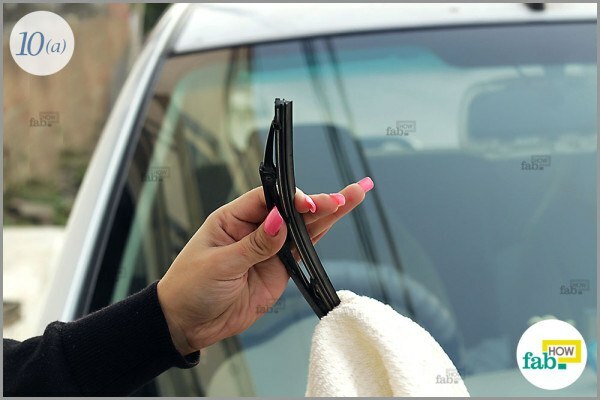 Dirty wipers will smear grime on your pristine windshield with a single swipe. Remove loose dirt, grime and dust bunnies from your wipers using a dry microfiber cloth. Then, clean them using the dampened end of the microfiber cloth. Finish by wiping them with a dry, clean microfiber cloth. 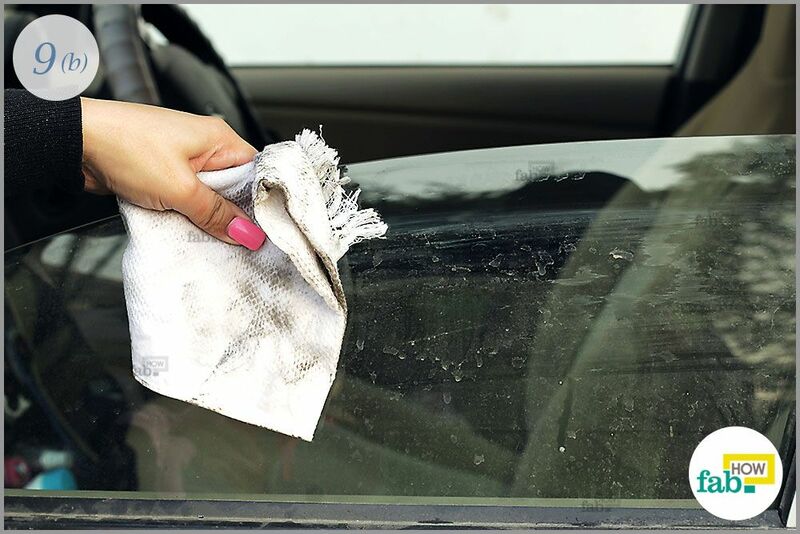 Always reserve a clean, dry side of your microfiber cloth to give the windows a final wipe so that fresh dirt doesn’t stick on the glass. If your car is hot either because it was parked in direct sunlight or because you’ve been driving it, avoid cleaning it immediately as it will leave soapy blotches on the clean surfaces. 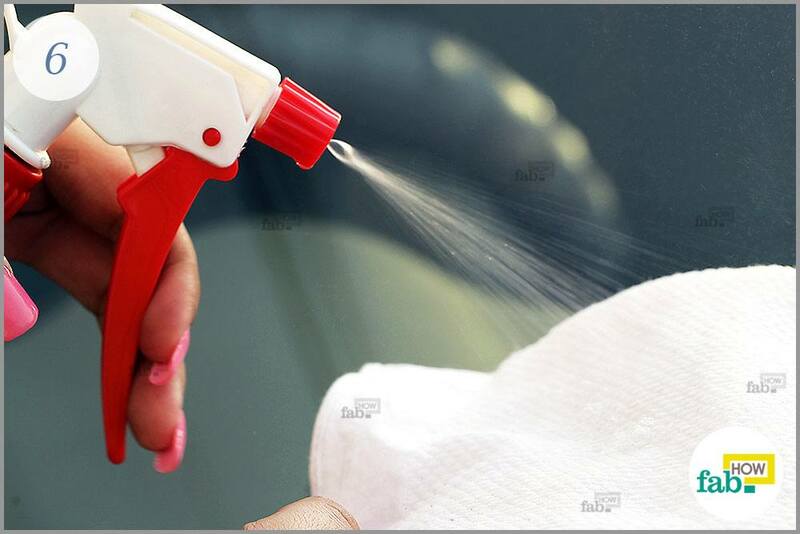 Avoid cleaning a hot car with any chemical-based cleaning solution. 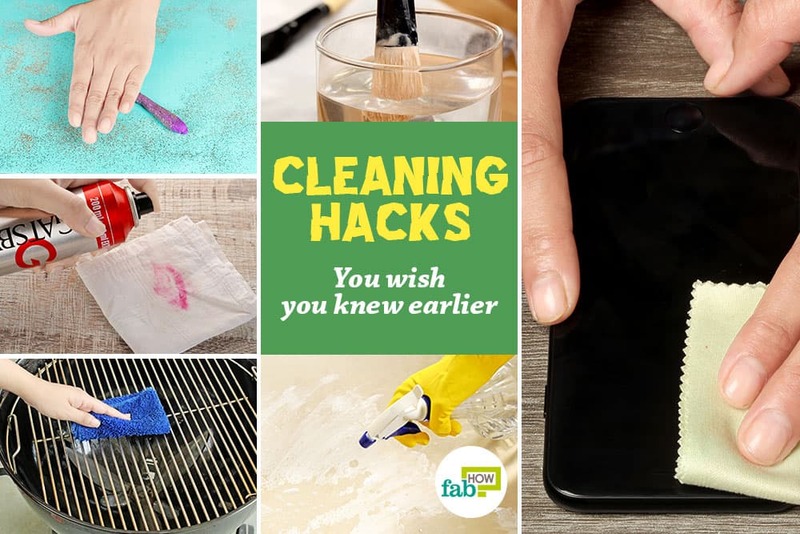 Aside from leaving patches on the surfaces, the fumes of the quickly evaporating cleaning solution can be hazardous to your health. Replace your microfiber cloth with a clean, dry one if it becomes too damp and dirty, as the latter will leave streak marks. If your dishwashing liquid has ammonia in it, do not let it come in contact with your car’s interior while wiping the inside of the windows. Ammonia dries out rubber, leather and plastic. If you wish to remove the remains of an old sticker, soak the spot with vinegar for some time and use a plastic card to remove the sticker residue.